2019 Jeep Wrangler Sport S At Lebanon Chrysler Dodge Jeep and Ram We Can, We can, We Can! 2019 Jeep Wrangler Sport S ABS brakes, Compass, Electronic Stability Control, Low tire pressure warning, Traction control. At Lebanon Chrysler Dodge Jeep and Ram We Can, We can, We Can! 2019 Jeep Wrangler Unlimited Sport At Lebanon Chrysler Dodge Jeep and Ram We Can, We can, We Can! CLEAN CARFAX. 2018 Jeep Renegade Latitude Black FWD 2.4L I4 9-Speed 948TE Automatic At Lebanon Chrysler Dodge Jeep and Ram We Can, We can, We Can! Recent Arrival! Odometer is 4598 miles below market average! 22/30 City/Highway MPG We are your Cincinnati/Dayton Dealer... We Can, We Can, We Can!! 4WD, CLEAN CARFAX. 2018 Jeep Renegade Latitude Alpine White 4WD 2.4L I4 9-Speed 948TE Automatic At Lebanon Chrysler Dodge Jeep and Ram We Can, We can, We Can! Recent Arrival! Odometer is 5110 miles below market average! 21/29 City/Highway MPG We are your Cincinnati/Dayton Dealer... We Can, We Can, We Can!! 2019 Jeep Wrangler Unlimited Sahara At Lebanon Chrysler Dodge Jeep and Ram We Can, We can, We Can! 2019 Jeep Wrangler Unlimited Sport S ABS brakes, Compass, Electronic Stability Control, Low tire pressure warning, Traction control. 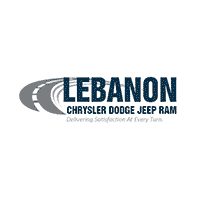 At Lebanon Chrysler Dodge Jeep and Ram We Can, We can, We Can! New vehicle pricing includes all offers and incentives. Tax, Title and Tags not included in vehicle prices shown and must be paid by the purchaser. While great effort is made to ensure the accuracy of the information on this site, errors do occur so please verify information with a customer service rep. This is easily done by calling us at 513-409-2612 or by visiting us at the dealership.